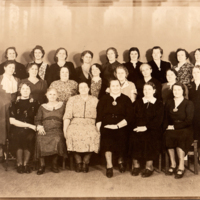 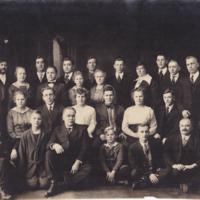 Picture taken in the then Finnish Temperance Hall. 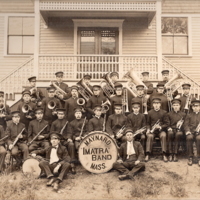 Four photos of the Maynard National Band. 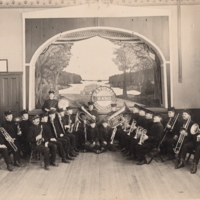 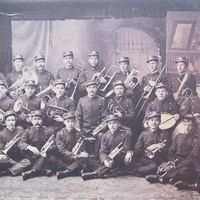 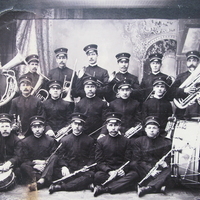 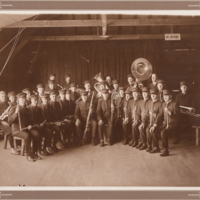 1923 photograph of the Imatra Band playing at the Voses Pavilion. 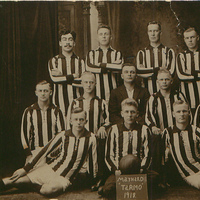 A sepia photo of the Maynard Tarmo Soccer Team, dated 1918. 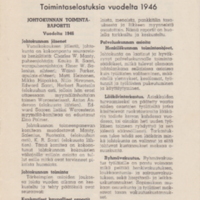 Bottom: __?, Kusti Aromaa, __? 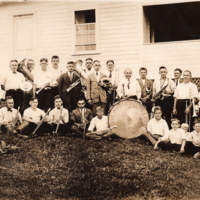 A photo of an outstanding track team during the 1920's. 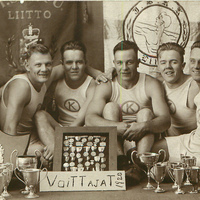 A team winning many events at several meets among the Finnish societies throughout the state. 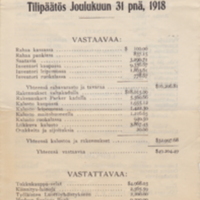 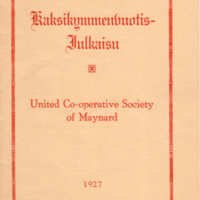 A financial report written entirely in Finnish. 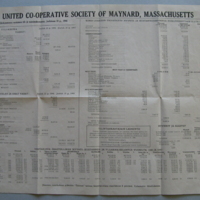 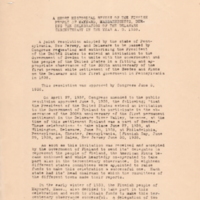 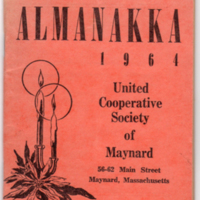 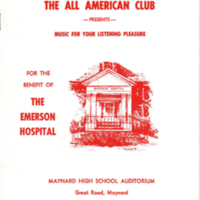 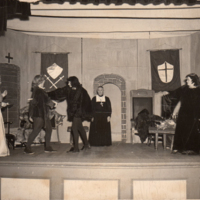 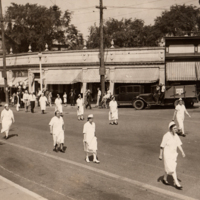 Written presentation to the Maynard Historical Society by Helen Mark Ketola on November 19, 1969 and other information about the Club.